Familiar Limited was a company that I started with a colleague upon my leaving Sun Microsystems’ UK Java Center in early 1997. We also had the delight of some ten other interested folks helping us form the company and its ethos from the outset. Familiar was a software house specialising in delivering advanced bespoke Java web applications, that also shared its expertise on how best to manage the business of software development – in the form of consulting services – with other software development organisations. 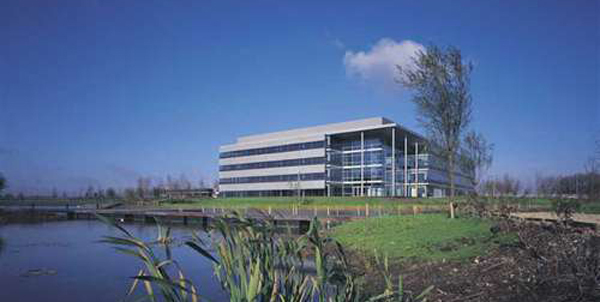 In fact, Familiar was the first 100% Agile software house in Europe. We would run the company for the mutual benefit of all the people coming into contact with it. We would institute “human systems” that treated people – employees, customers and suppliers alike – like competent, rational, trustworthy adults. We would do everything possible to build a community for the long term. success depends utterly on having the full commitment of well-informed people who really want to make a difference. Work can be the most fulfilling, exciting and absorbing activity known to man. No matter how motivated, intelligent and competent people may be, they still benefit immensely from an agreed, common approach to tackling work. Commonly-held “management” assumptions and traditions (for example: jobs, appraisals, standard employment terms and conditions, management authority) are sometimes counter-productive and deleterious to a healthy business. People were encouraged to participate in the community on whatever basis they felt most appropriate for their circumstances (for example, as employee, contractor, sub-contractor, apprentice, consultant, etc.). Equity was available to anyone that participated in the community. People were invited to each choose their own personal terms and conditions, including rates / salaries, working locations, hours, tools, and so on. People were invited to choose their own assignments, tasks and deliverables. Narrow specialisms, such as sales people, managers, and so on were conspicuous by their absence. Everyone was encouraged and supported to become so-called “Generalising specialists”. And the product of these principles and mechanisms? A hugely engaged and participatory workforce, and a really humane community, which produced a number of essentially defect-free software products, and pushed the envelope in terms of what was possible from a software development organisation. “In fact, Familiar was the first 100% Agile software house in Europe.” – In fact, I don’t ever recall us talking about Agile. It was far more important that everyone involved within and without was getting benefit (though not at the price of others). That continues on with me today, I use the word Agile, when what I’m really talking about is something Familiar’esque in approach. That is “dump the shackles, seek the greater truths, do what’s right and works for the benefit of all”. When you get down to it, there’s really no other way to get a productive, effective environment (of course what you choose to be productive about is a personal choice). A surprising moment for me: The day the team turned around and asked me to drive the release cycles because I was clearly the one who cared most, had the discipline and would drive them to a successful result. Even now, I’m far more used to fighting for responsibility than being given it by a team, though these days I’m less selfish, it’s so I can give one of my teams a chance to be productive and steer themselves. Nevertheless this surprising moment also lives on as something I try to engender in teams, the ability to define their own structure with which to get something done. Fact is, we could’ve done anything, didn’t have to be software and, I truly believe we would’ve done, if it had been called for as we faced our various challenges. Annoying as hell at the time, there’s great safety/comfort in constraints, these days I value it for the fact that I’m hyper alert to constraints and looking to remove them. Oh, and yes, I do increasingly ask my teams that question and they too get annoyed. Hopefully, one day, they’ll realise it’s not an annoyance but a treasure. Thanks Dan. Good to have your recollections. BTW Have you shared with your team the reason for you asking them the annoying question? As I understand from the past tense in the article, Familiar is no more today. I feel sad because I believe the principles Familiar was based on could benefit all of us (both in/outside swdev), and they speak more to me than the principles I’ve seen at my (multiple, traditional) employers. It raises my question: in hindsight, what could (should?) you (the company) have done differently (to prevent it’s demise)? Thanks for your question, and your continuing interest and support. Yes, Familiar is no more today.